- Let's throw this empty ______ in the ___. 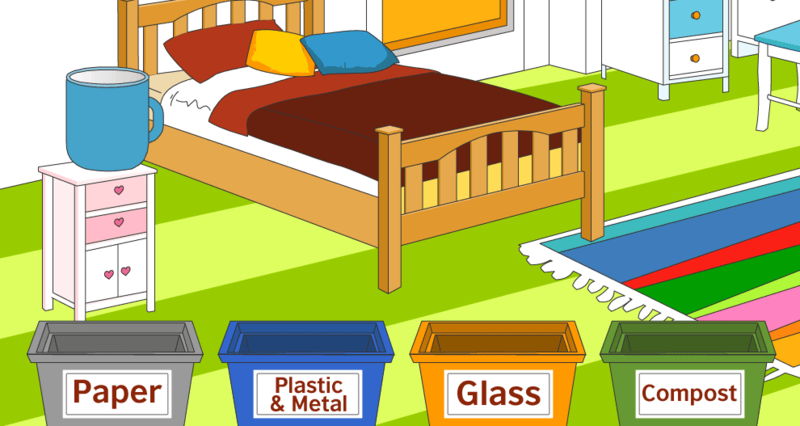 Now click the button Activity 2 to know why we should recycle. Activity 3: Game "Roll the dice"
Activity 5: "Clean and green"